All participants pay an enrollment fee to the International Cooperator, insurance fee and a SEVIS fee. Please note that the visa application fee that all participants pay directly to the U.S. Embassy or Consulate is in addition to the fees listed. 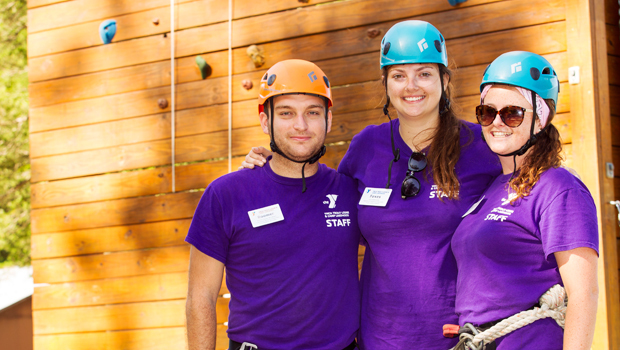 An orientation and interview to help ensure a camp match that’s right for each participant. A camp placement offer, including stipend, room and board for the duration of the placement. Documents to obtain a J-1 Visa (DS-2019 Form). Accident & sickness insurance for the duration of their program dates that exceeds the U.S. Department of State requirements. InterExchange Camp USA Participant Handbook, Inside the USA Guide, Camp USA T-shirt, certificate of completion, Cultural Immersion Reference Letter, and 24-hour program support throughout the summer. A set stipend, according to age, covering the entire contracted time at camp (participants contracted for longer than 63 days receive an additional $30 USD per day worked). The work period begins the day of the contracted start date and includes any pre-camp staff training and orientation sessions. Support Staff must be paid minimum wage or at least $2700 USD (pre-tax). Workers' compensation insurance for any work related injuries. Room and board (including linens). Training for the specified position. Ensure the safety and well-being of the participants while on the program. Access to transportation for off-site activities and when medical attention is needed. Self-Travel participants arrange their own flights and will receive a higher stipend. Continue to the next chapter, The Self-Placement Program, or return to the Table of Contents.